No matter how tasty others find a dish, if you’ve had a horrible experience with a particular food, chances are you’ll avoid it like the plague thereafter. Similarly, regardless of how many people extol their virtues, if you’ve been burned by credit card use before, chances are you’re not too keen to give them another chance. Unfortunately, while there are thousands of alternative meal choices, you typically need credit to get credit. This can make it difficult to avoid credit cards entirely, but other credit-building options do exist. You generally need a credit product to build a credit profile, so you’re likely looking at some type of loan if you want to avoid credit cards. Personal loans are among the most flexible loan types and can be used for just about anything you may need to purchase. Personal installment loans can be obtained in a wide range of amounts — from $500 up to $35,000 or more, depending on your credit risk — and can extend for up to 72 months. Borrowers can often easily compare sizes and lengths through online lending networks, like those below. Although some personal loans are available that allow collateral, most personal installment loans will be unsecured credit, meaning there’s no down payment or other security. As such, getting a personal loan with no, limited, or bad credit may be difficult. At best, without a decent credit history, be prepared to pay two-digit interest rates. You’re also unlikely to be offered a loan at the maximum end of the size range, especially if your income isn’t very high. Once you’ve obtained a loan, be diligent about making your required payments on time every month to build a positive payment history. It takes six months of credit history to be eligible for a credit score. If you don’t actually need to finance anything, personal loans can have a higher price tag than you’re willing to pay. But they’re hardly the only type of loan you can use to build credit. In fact, there’s a whole slew of loans specifically designed to help people build credit. They’re called — wait for it — credit-builder loans. These loans are typically offered by credit unions and local community banks, but are also starting to appear online from companies like Self Lender. Unlike traditional loans, in which you borrow money to make purchases and then repay the loan, the money you “borrow” with a credit-builder loan is typically put into a secure savings account to which you don’t have access until the loan is paid off. Although you can’t spend the loan funds, you’ll still make regular payments and your repayment activity will be reported to the credit bureaus like any other loan product. This means you can build positive payment history by making your payments on time every month, then get your payment money back, often times with interest added, once the loan term is complete. Between things like work commutes, weekend errands, and summer road trips, Americans log an average of over 3 trillion miles on the road each year — which is a number that indicates that you’re likely going to need a new car at some point. 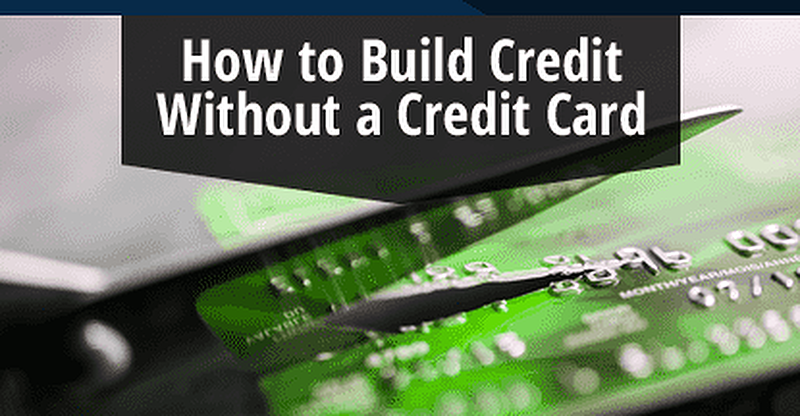 If you finance that car with an auto loan, you can build credit as you rack up the miles. Without a well-established credit history, you’ll likely pay a little more for your loan, so be sure to compare offers, perhaps through an online lending network like those below. Unlike most personal loans, auto loans are secured loans. In most cases, the vehicle you purchase with an auto loan acts as the collateral for that loan, which has both ups and downs. On the one hand, this means it can be easier to get an auto loan with limited credit than other types of financing because the risk is lower for the lender. At the same time, it also means that your vehicle can be repossessed and sold should you default on your loan. A common offering in banks and credit unions alike, certificates of deposit (CDs) are savings tools generally used by those who want a better return than a standard savings account provides, but who don’t want to invest their funds in stocks or other risky products. Essentially, the consumer deposits a specific amount — usually a few thousand dollars — into the CD account, where it will stay for a specified period of time (typically three to five years). Once the term is up, the consumer receives the principal plus all accrued interest. If money is withdrawn before the end of the term, however, stiff fees are applied to the withdrawal. While you can’t remove your money early without penalties, some banks will allow you to borrow against the funds in your CD for a short-term loan, often at a much lower interest rate than other types of financing. The maximum (and minimum) amount you can borrow, how long you can borrow it, and how much it will cost you, can all vary based on the individual bank, the amount in the CD account, and the length of time left on the CD term. 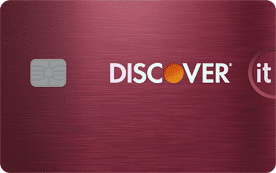 Although this method does involve a credit card, you aren’t the one who signs up for it. Instead of taking on a credit card in your own name, you can become an authorized user on a credit card of a friend or family member. 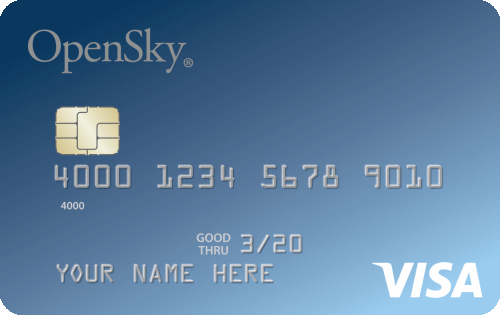 Authorized users get a card tied to the primary cardholder’s account and the account is usually reported on the authorized user’s credit reports. Plus, not only can authorized users make purchases, but they’ll even earn rewards when using a great rewards card like our picks below. Being an authorized user can be a good way to build credit, but it isn’t without its risks — for all parties involved. From the authorized user’s perspective, if the primary cardholder doesn’t practice good credit behavior — e.g., if they carry a high card balance — that poor behavior may be reflected on the authorized user’s credit report. On the other side, while authorized users are able to make purchases to the account just like the primary cardholder, authorized users are not legally responsible for repaying the debt. So an authorized user could rack up a huge bill, but the primary cardholder could be stuck paying it. Another way to establish and/or build credit is through the responsible repayment of a student loan — which may be one of the few silver linings of student debt. In most cases, your student loans won’t come due until about six months after you graduate, but that doesn’t mean you can’t start paying them off early to build your positive payment history (and reduce the total amount of interest you’re stuck paying). As with other types of loans, mortgage loans can be used to build credit through responsible repayment. And while getting a mortgage without a credit history will likely require a pretty decent down payment, it’s not an impossible task. Using an online lending network, such as LendingTree, can connect you with a wide range of lenders to increase your odds of finding the right lender for you. Depending on your current credit situation, you’ll typically need at least a 20% down payment to obtain a conventional mortgage, though a larger down payment may help smooth the way if your credit is severely limited. Another option may be a mortgage insured by the FHA (Federal Housing Administration). FHA-backed loans require much smaller down payments than conventional mortgages and typically have much more flexible credit requirements. For most of credit-scoring history, housing and utility payments were only sporadically considered in credit assessments. More recently, however, there has been an increased interest in incorporating rent and utility payments into both credit reports and scores. Along those lines, the most recent FICO consumer scoring model, the FICO® Score 9, is one of the first to use rental data in its scoring algorithms. Unfortunately, few landlords — as little as 0.3% — report rental data to the credit bureaus automatically. Although you can request that your landlord report your rental trade line, they’re under no legal or financial obligation to do so. This next option may skirt the credit card line, but it does vary in one key way that may make all the difference for some users: you can’t let balances carry over indefinitely. With a charge card, users still have access to a reusable line of credit, but because balances can’t roll over from month to month, there are no interest fees that build up every month. At the same time, if you can’t pay off your balance, you’ll be charged some serious late fees, so never charge more than you can pay off at the end of the billing period. While charge cards might skirt the credit card line, secured credit cards are firmly on the dark side of it. That being said, secured credit cards eliminate a lot of the risks that traditional unsecured credit cards come with, potentially making them a better choice for the credit card averse. The main difference is that secured credit cards require an initial deposit, and that deposit typically dictates the size of the credit line. For most secured cards, including many of our top-rated picks below, the minimum required deposit is $200. So long as you keep your account in good standing, the deposit you put down for your secured credit card is completely refundable when you close the account (or upgrade to an unsecured credit card). Additionally, you can avoid paying interest fees on a secured credit card simply by paying off your full balance before the end of the grace period, which is usually between 21 and 25 days after the end of the statement cycle in which you made the purchases. Much like a bad fish experience can put you off seafood, an unfortunate credit card experience can certainly put you off plastic. 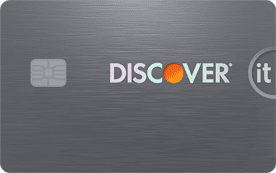 Thankfully, a credit card aversion doesn’t mean you have to do without credit entirely. But, there’s also no need to fear credit cards. 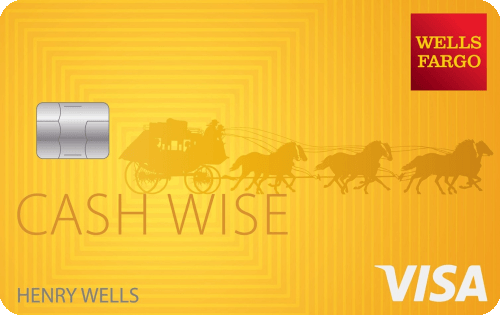 When used responsibly, credit cards can be secure and rewarding ways to make purchases. Of course, the key words here are “used responsibly.” Don’t put more on your credit cards than you can repay in full by the end of the billing period and always pay your bill before the due date to ensure a happy, healthy credit card relationship. Does the Walmart Card Approve Bad Credit?